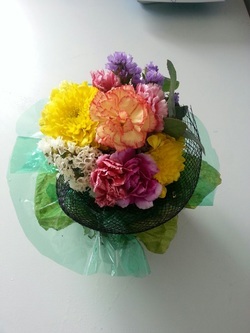 In this workshop, you will be shown how to make a few bouquets of flowers. The concept of mindfulness upheld in a sitting meditation practice can be incorporated into the flower arrangement process where you are fully aware of all the steps and enjoy every moment of the creation. At the end of the workshop, you will bring home a bouquet or two uniquely made by yourself. We will use recycled materials such as jars, bottles, paper and ribbons. If you can bring some flowers from your own garden, it will be more meaningful for you.